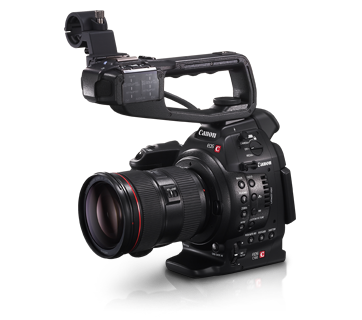 An affordable video production camera offering a unique combination of professional HD imaging, compact design and lens versatility, the user-friendly C100 is ideally configured for single person use. 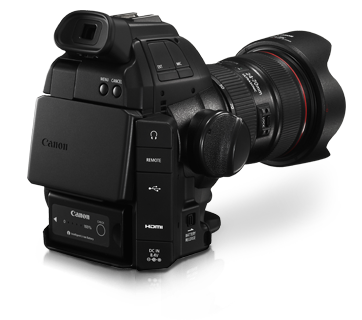 An 8.3MP Super 35mm CMOS sensor, designed and manufactured by Canon specifically for video capture, provides 3ch RGB processing for Full HD recording. 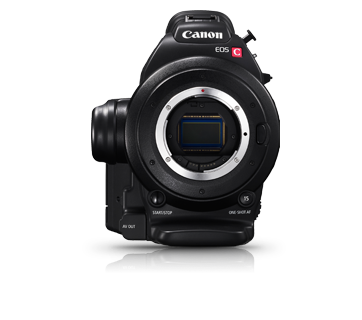 It delivers superb high-resolution images with high sensitivity, low noise, reduced rolling shutter artefacts and beautifully shallow depth of field. 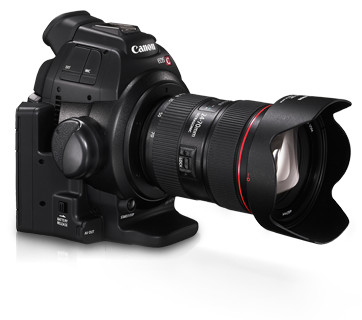 Built-in Canon Log Gamma gives neutral image quality with 12-stops of latitude (800% dynamic range) at a base setting of ISO 850. 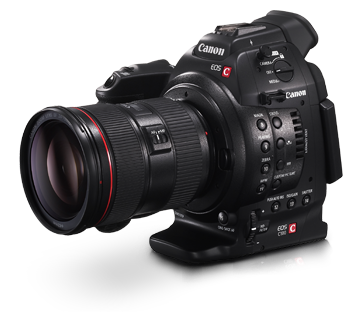 A Wide Dynamic Range option delivers footage with the same wide latitude but does not require grading. 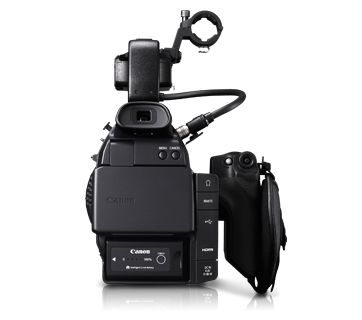 To facilitate one-person operation, automated functions include One-Shot Auto Focus, Push Auto Iris and Auto White Balance. 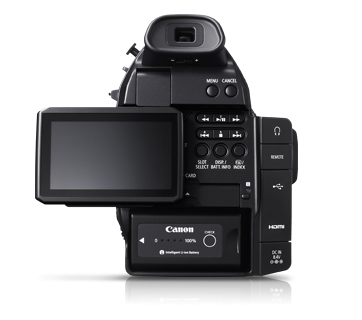 Full manual control is available when required with a powerful Focus Assist function to aid manual focusing and ensure sharp detailed images.